The Atomos Connect-AC S2H Converter with AC Cable converts an SDI signal to an HDMI output and SDI loop output, supporting resolutions up to 1080i60/50, including 1080p30/25. The device also features a test pattern generator, audio test tone, flashlight mode for use in dark locations, and performs pulldown removal and insertion. 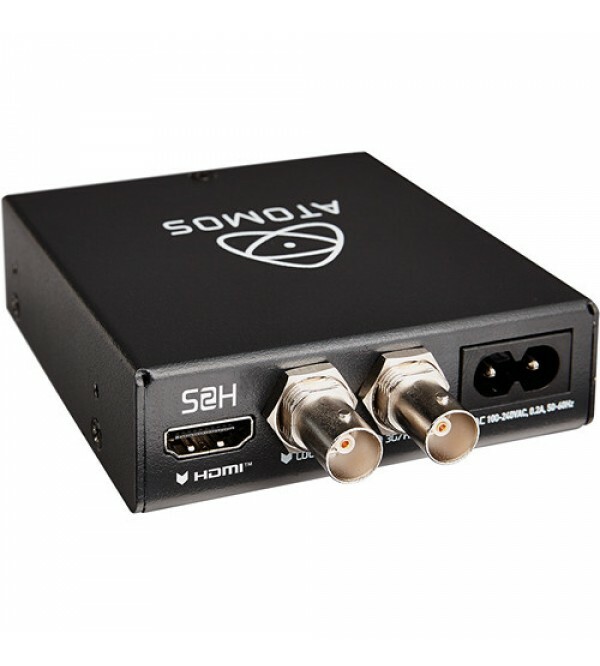 A figure-of-8 AC cable is included for power. 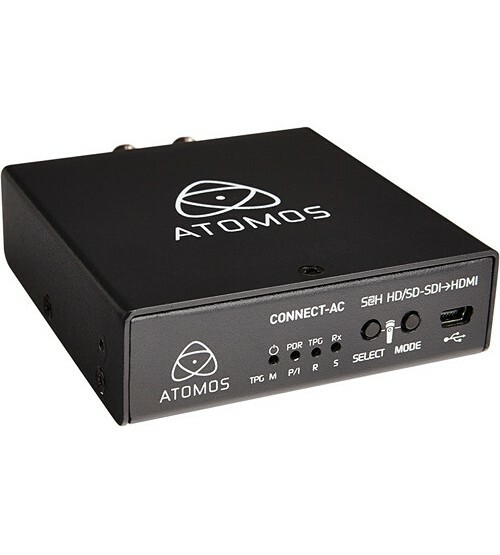 You can use the converter table-top or rack-mounted in an optional Atomos Connect-AC Rack-Mount Kit, which can hold four units.